The following deaths have taken place. John Nolan, Dublin and Killaghy Street. We extend our sympathy to his brother, Tony and to all the extended family. 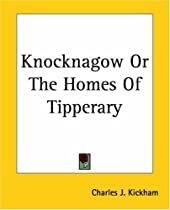 The death also took place of Michael McGrath, Grangemockler. Sympathy to his wife, Catherine, son Wayne, his parents, Kathleen and Michael, sisters, Caroline and Janette, his brothers, Pat, Declan and Dessie and the extended family. The death has taken place of Kathleen Barry, Fethard. We extend our sympathy to her family and to her brothers, Michael and Ned Cahill, Mullinahone. The death has taken place of Jim Commins, Piltown and Ballytohil. We extend our sympathy to his family, and to his sister-in-law, Marie, Ballytohil and his niece Maura McCarthy, Ballytohil. Anniversary Masses next weekend Saturday March 1st at 8pm Anniversary, Jimmy and Annie Hawe, Kilvemnon and Ann McGettigan, Kilvemnon. Sunday March 2nd at 9.30am Anniversary, Walter and Eileen Cahill, The Square. Sunday March 2nd at 11.30am Anniversary, Thomas, Margaret and Mary Tobin, Ballinacloughy. May they all rest in peace. The Juvenile Club will hold a sponsored walk on Sunday March 23rd at 12.45pm. All juvenile players will be getting sponsorship cards at training and can also return them at training. Easter Camp. The Club will run an Easter Camp in April. The dates will be confirmed at the March monthly meeting. The camp will be for three days, from 10am to 1pm each day. Cost will be €20 per child. The age groups will also be confirmed at the next meeting. Each participant will receive a sliotar and a football at the end of the camp. Calendars Any outstanding juvenile calendar money should be returned to treasurer Sean Reilly. Text messages. Any parents who are not getting text messages regarding training etc. please contact secretary, Michelle Morrissey on 087-6925124. The last local lotto jackpot draw took place on Monday Feb. 17th. The numbers drawn were, 10, 13, 19 and 29. There was no jackpot winner, but there was one match 3 winner. Congratulations to Frances Webster who won €150. Next draw will be on March 3rd when the jackpot could be worth €2,950. St. Michael’s NS Mullinahone are now enrolling pupils who will start school in September 2014. Please call to the school for an enrolment form. Office hours call to Rose from 9.30am to 1pm. After office hours call to Mairead O’Halloran in Infants Classroom. Mohober NS is now accepting enrolments for the school year 2014/2015. Please contact the school 9154561 for an enrolment form. Our new website has been launched this week. Check it out at www.mohoberns.yolasite.com Please contact Poulacapple NS or Kilvemnon NS if your child intends starting school there in September 2014.